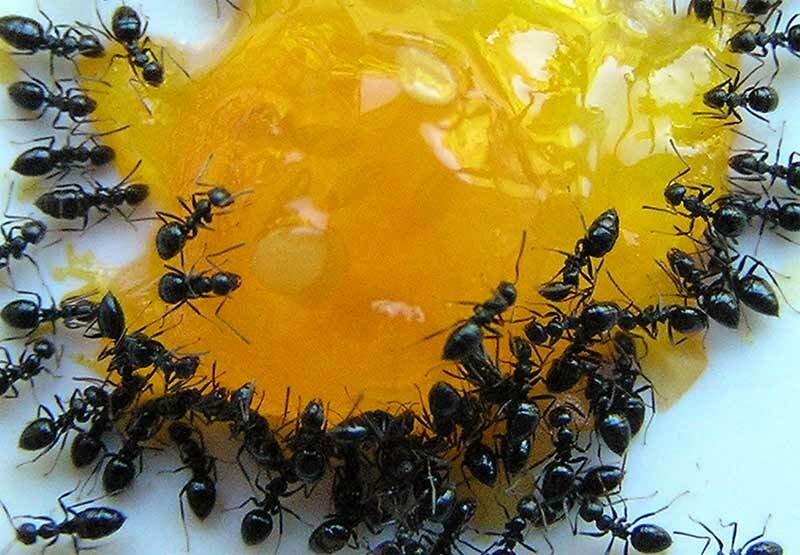 Ants can become quite a pest when they start raiding your kitchen. It can become very irritating and painful to protect your house and kitchen from the long line of ants. In most of the cases, when under ant attack, doing pest control emerges as the immediate solution. However, getting pest control done is not an easy thing. It involves exposure to harmful chemicals which will drive away the ants but can also cause damage to your health. There are also some natural ways for how to get rid of ants which are simple and most of the required ingredients would be easily available in your kitchen. 1. Chalk line – Chalk Line helps keeping ants at bay by drawing a line around their entry points. The calcium carbonate in the chalk creates a barricade that prevents the ants from entering. 2. Lemon Juice – Lemon contains citric acid which repels the ants. Pouring lemon juices around the openings will lead to getting rid of the ants. 3. Vinegar – Pour some distilled white vinegar into an empty spray bottle. At the openings or entry points, spray the vinegar, you can also spray the vinegar on the trail. This will ensure the ants do enter. 4. Coffee Grounds – Ants are not big fans of smell of coffee and can be found retracing their steps when they smell it nearby. Coffee grounds can be sprinkled at the entry points or along the periphery of your house. This would ensure that they stay away as far as possible. 5. Baby Powder – Sprinkling baby powder is another way of stopping the ant invasion. Sprinkle it at the entrance or along the house perimeter and the ants won’t attempt to cross it. 6. Alcohol – In an empty spray bottle fill half part with water and half with alcohol. Spray the mixture at the entrance points. This will keep the ants out. 7. Herbs and Spices – Herbs like clove, garlic, black pepper; salt, powdered cinnamon is extremely effective in getting rid of ants. Sprinkle them on the entry points and see the effect. 8. Baking soda & powdered sugar – This is a way of enticing the ants to trek their way into the trap. Sugar will attract the ants and the baking soda will kill them. Prepare a mixture with equal amounts of baking soda and powdered sugar. Sprinkle the mixture at the entry points to get rid of the ants. DIY Cancer-Free Homemade Mouthwash – All-Natural Mouthwash for Healthy Teeth & Gums! My parents have a problem with getting ants in their kitchen. I’ll definitely have to forward some of these solutions to them. Thanks for sharing!